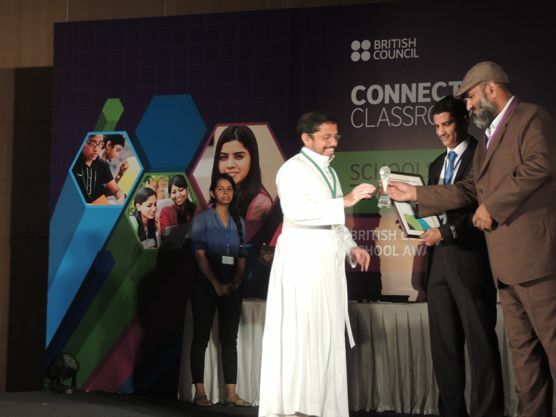 The School is elated to receive the prestigious British Council International School Award (ISA), an accreditation scheme that recognizes and celebrates exemplary practices of internationalism in schools for the second time by meeting the international criteria through the combined effort of the Management, staff and students. The school Principal Fr. Joshy Koottumkal CMI & the ISA Coordinator Mrs. Jayamole George received the award and certificate from the British High Commission’s Director of British Council in a grand function at Chennai on 15th December 2017. Mas. Chacko J Pallickal and Mas. 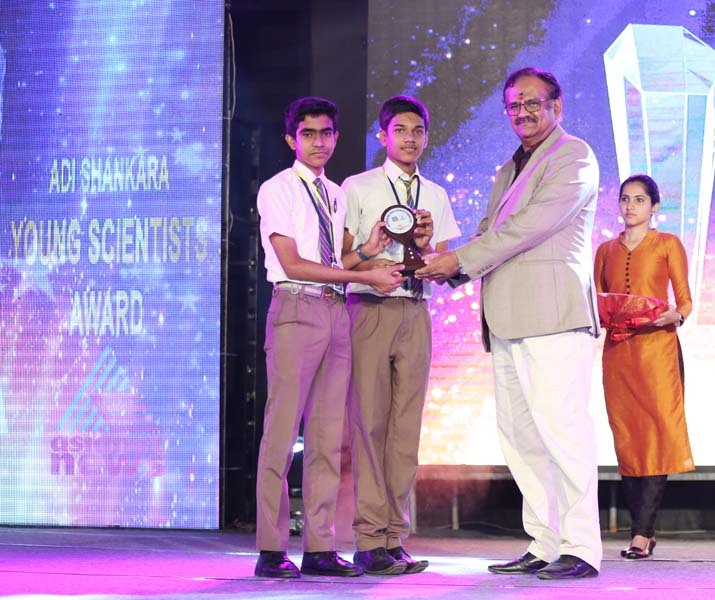 Ben Bejoy Kudiyirippil of Class VIII won the Adi Sankara Young Scientist Award for inventing `Accident Minimizing Alert System’ (AMAS). 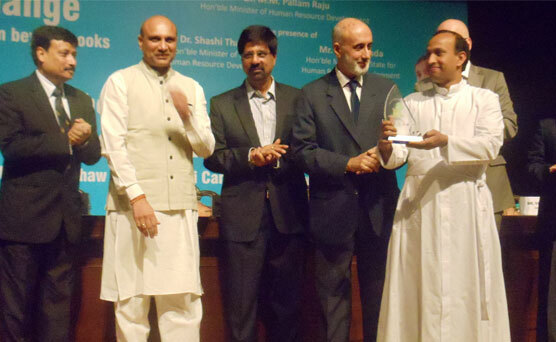 It was indeed a pride-filled day when they were honoured with cash prize worth Rs. 2000/- .and a scholarship to study in Adi Sankara Engineering College. 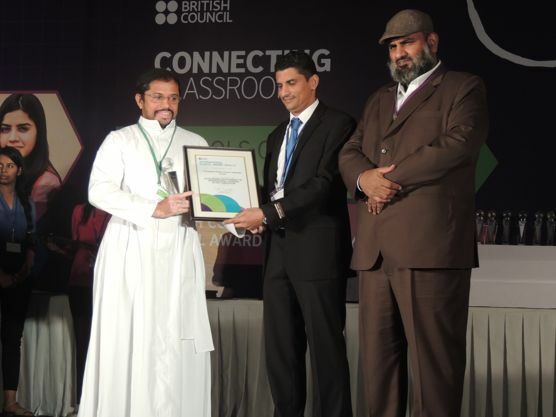 The British Council International School Award (ISA) is an accreditation scheme that recognizes and celebrates exemplary practices of internationalism in schools. Viswajyothi Public School, Angamaly is elated to receive this prestigious award by meeting the assessment criteria through the combined effort of the staff and students. The school Principal Fr. Martin Mundadan CMI received the award and certificate from Dr. Rob Lynes, the British High Commisions Director of British Council in a grand function at Delhi on 4th December 2014. The ISA journey for this award was a great learning experience for the entire team. The plethora of activities that encompassed students from classes 1 to 12 had an international dimension as mandated by the British Council. Students engaged in video conferences to discuss different aspects of global education and recorded their experiences on the impact of connecting classrooms through Social Media on Education across the world. All these activities provided a window through which we could see the cultures across the world and the wonderful diversity of the human race in the world they live in and become truly global citizens. Viswajyothi CMI Public School, Angamaly has been dotted as one of the top 5 Schools in the country which provides the best Health and Sanitation facilities.Nov 28th, 2012 was a sparkling day for Viswajyothi. The Principal Rev. Fr. Varghese Kachappilly received the prestigious first National School Sanitation Award 2012 from the Hon’bleMinister for Human Resource Development, Dr. M MPallamRaju, for the School being rated as the best and the top CBSE schools in the country with BLUE rating. The award includes Rs.75,000/- in cash, a Trophy, a Certificate and a School Sanitation Kit. On this occasion Mission Ambassador Mr. K. Srikanth, CBSE Chairman Dr. Vineet Joshi,IAS, Mr. Rajarshi Bhattacharya, Secretary for School Education, Govt. of India, Dy. 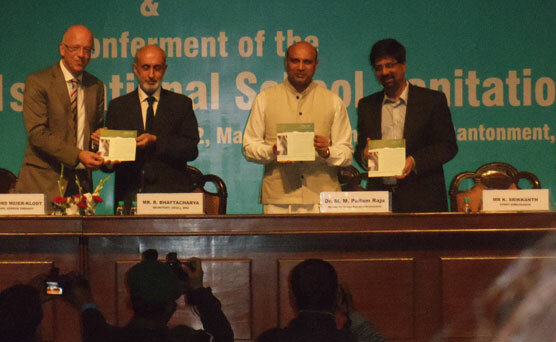 Ambassador of Germany to India, Country Head GIZ and Dr. SadhanaParashar, Director (Training) CBSE were also present. 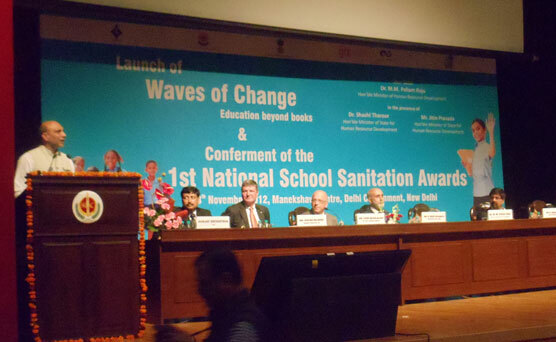 Recognizing the key significance of Sanitation and the role of Students as the agents of change, the School has taken up leading role to give awareness to the Students which can lead to behavioural changes within the Society. The School’s Sanitation Vision is “A school to create globally competitive and socially responsible students with a high quality life in a clean and secure environment”. After the inspection held on November 8th,the officials were extremely happy with the School’s Health and Sanitation facilities.Our School tops in the country in the BLUE category with 90% rating.